Some parents have started buying their kids bulletproof backpacks in the wake of recent school shootings. Pei-Sze Cheng reports. With the terror of school shootings lurking in the minds of parents and students, a booming industry is taking aim at parents: bulletproof backpacks are being marketed as a way to keep kids safe. They are sold online and at some stores. The I-Team bought one at Office Depot in Union, New Jersey, for $186. Reaction from back-to-school shoppers was mixed. “It’s kind of a shame where we went to as a country that you have to sell this for safety,” said Lennox Mars, a teacher and parent. "It’s kind of sad to know that kids even have to think about this," said educator Jodie Ramey. All eighth graders from St. Cornelius in Chadds Ford, Pennsylvania, were given a bulletproof Safe Shield insert for their backpacks as a graduation present. "Instead of making a bulletproof backpack," she added, "We need to invest more in preventative stuff." High school sophomore Raquel Vargas said, "If I had the money to buy one, I would." The I-Team at News 4 New York's sister station in Los Angeles bought the same backpack, the Guard Dog ProShield 2, which says it will stop a 9-millimeter or 44-caliber bullet. A firearms instructor helped the I-Team put it to the test. The backpack did stop bullets as advertised, but when the instructor used an AR-15, a military grade weapon used in many school shootings, the bullets went through the panel of the backpack. 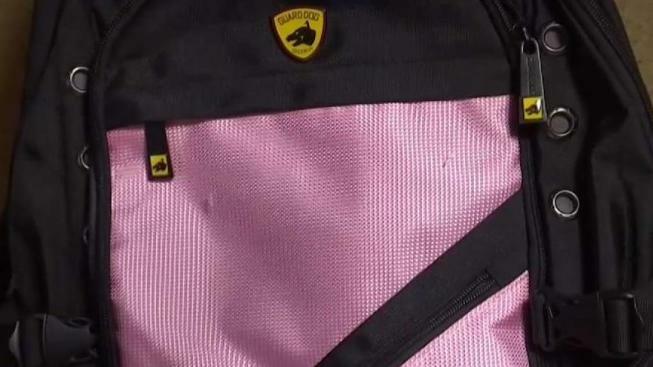 In a statement, the company said their line of backpacks are tested and rated against level IIIa standards, which excludes AR-caliber bullets. 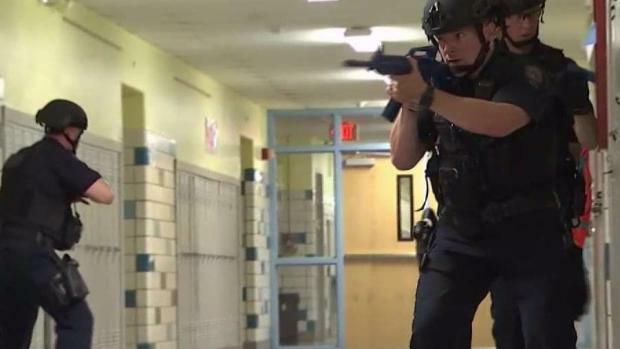 While the backpacks may be able to withstand bullets in a demonstration, some school security experts aren’t buying it. An active shooter drill like no other was held in Hoboken High School Wednesday. "I think that it’s a false sense of security," said Paul Kissane, deputy police chief of the Fort Lee Police Department who has more than 20 years of school security experience. "In most drills when you’re evacuating we teach everyone to leave everything behind, so there’s a concern for that are we having children that are going back to get their backpacks in order to evacuate a building and I don’t see the logic in that," said Kissane. A better way to protect kids, he says, is reporting any sign of trouble at school – and practicing safety drills.